Ki ora, I’m Angie and I am the Head Teacher in the Fantail Room. 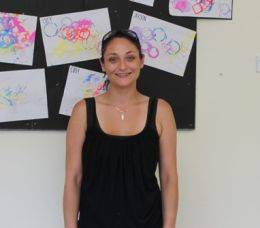 I have been teaching since 1999 and have worked in a variety of early childhood centres in Lower Hutt, as well as one in Howick, Auckland. I attended Victoria University in Wellington, where I studied towards a degree in early childhood (Bachelor of Education) and graduated in 2010. I have completed my teacher’s registration and currently hold a fully registered teacher’s practising certificate. I live locally in Upper Hutt with my two daughters, Ella who is at primary school and Matilda-Rose who attends at the centre; they bring much love, laughter, tears and plenty of challenges. I also have two fur babies, an English Staffy named Jett and a cat called Portia.